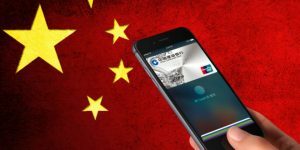 Chinese banks posted robust growth in mobile payments in Q1 2018, according to the People’s Bank of China (PBOC). Banking institutions handled 70.8 trillion yuan (11.1 trillion US dollars) in mobile payments in the period, up 16.8% year on year, the central bank data showed. Around 10.7 billion payments were made through the banks’ mobile services in Q1, an increase of 17.8% year on year, the PBOC said. China’s mobile payment sector has seen rapid development, driven by improved Internet infrastructure, increased use of mobile phones and innovation of financial services. The country’s third-party mobile payment market has continued rapid expansion as cashless transactions have gained increasing popularity across the country. The value of third-party e-payments in China has grown at an annual rate of more than 100 percent since 2015, offering consumers an alternative to bank payment channels at lower transaction costs, global rating agency Moody’s said in a report earlier last year. China is leapfrogging over credit card usage. Mobile payment has made it possible to order food, pay credit card bills, and manage stock accounts at anytime, anywhere, or buy a pancake at a roadside breakfast stall without having to carry a wallet. In Q1, bank card transactions in China rose 12.6% from a year earlier to 220.8 trillion yuan, while the number of bank cards in use went up 4.8% to 7 billion by the end of March, according to the PBOC.